Your doors are nothing without locks. The type of lock you choose to use determines how secure your home or business is. 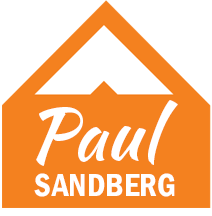 There are many brands in the market and sometimes making the right decision can be tricky. 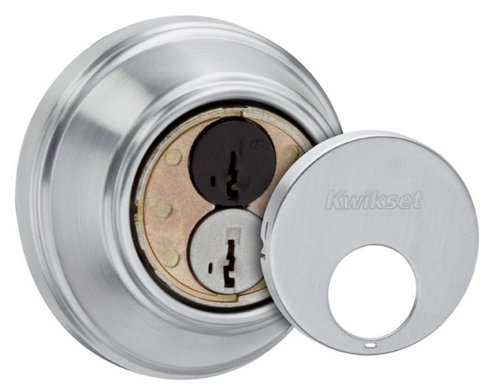 Don’t be confused about it; all you need to know about different types of Kwikset locks is described here. Kwikset provides home safety options and below are the types of door locks they make. Information brought to us by our friends over at losangeleslocksmithpros.com in LA. As the name goes, this lock has no spring and it is the turning of the key that enables its locking and unlocking. Deadbolts also called deadlocks can be of single-cylinder or the double-cylinder type. The single cylinder deadbolt has a twist knob on one side and the adjacent side is opened by a key. The side opened by the key side is often the exterior. For the double cylinder, a keyhole is on both sides so that it can be opened from either side. 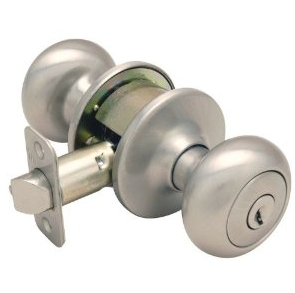 Most of the double-cylinder deadbolts do not have a twist knob on any of the sides. A mortise lock works almost similar to the deadbolt. It uses a cam to latch. It is so called because during their installation, mortises are cut into doors to fit them. They are also called rim locks. A mortise lock has two parts. One of them, the lock body is inserted in the door and the box keep which is installed in the doorjamb. The lock body has two bolts. There is a locking bolt at the bottom part and a spring latch at the top. Mortis locks come in different standards. You will find Knob Locks on the doors of many homes. They consist of a knob with a lock cylinder and a key system. Because the lock cylinder is in the knob, forceful removal of the knob also removes the lock. For internal doors, you can use these but if your door is leading to the exterior, look for another lock. With these, there is a key hole and a lever handle for opening the door. A lock cylinder is internally built and, therefore, you may want to choose these to fit into the doors of a business store, home or even the office. There are three types of DIN Cylinders just like the deadbolt. There is the single cylinder one-sided system which is only on one side of the door. The double cylinder system has locking cylinders on either side of the door and the single cylinder thumb-turn system which has a locking cylinder on one side and a thumb-turn system on the other. These systems are used mainly in homes. This also comes in different shapes. This is a lock with a special provision. The cylinder core can be replaced without having to remove the entire lock. It has two keys; one, a standard key for normal use and the second, a control key that enables the removal and replacement of the core cylinder. You can do this when you want to re-key the lock. This is a common lock for use in homes. The ease of installation of this type of lock stands out. Unlike most locks, it does not have to be inserted into the door but is just screwed on the surface. Because of this, it is known as a surface-mount lock. The easy installation makes it easy to replace but on the negative side, it is also easy to dismantle in cases of forceful break-ins. For thick doors, choose the rim locks are a good option. They are made of a rim cylinder on one of the sides and a surface mount latch lock system on the other. The rim latch lock is preferred because of its ability to lock itself when the door is closed. It requires door knobs with loose back plates. 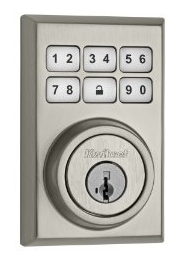 These are sophisticated, electronic locks that use a keypad system to unlock. The user keys in a pin and if it matches the programmed figures, electric signals are sent in the system to unlock the door. The keyless systems have an alarm system integrated into them and it goes off after a number of failed attempts which could suggest an attempt to break in.